Comedy shows and acts have surely come a long way from the Great Indian Laughter Challenge to Comedy Circus. Johnny Lever is widely hailed as the pioneer. Comedy shows and acts have surely come a long way from the Great Indian Laughter Challenge to Comedy Circus. Johnny Lever is widely hailed as the pioneer of stand-up comedy in India. He played a quintessential part in bringing comedy to the mainstream. The efforts that he put in surely worked out in the favor of future comedians. The art of stand-up humour in India has certainly matured and we are now witnessing comedy at its best. Kanan rose to fame with his YouTube series Pretentious Movie Reviews which featured another stand up artist Biswa Kalyan Rath. Now Kanan is pursuing a career in comedy full time and we cannot thank him enough! Biswa’s native state Odisha and its people are the stars of his brand of humour. An engineer by education, Biswa took the leap into comedy with Kanan and is indeed a rising star. Stand up comedian? Yes! Star actor? Yes to that as well. Vir doesn’t have an Indian accent but what he indeed does have the correct Indian Tadka. Vir is truly a stalwart of Indian stand-up comedy, who found fame outside the country and then decided to return to India. Since then Vir has done over 100 stand up shows like Who Let the Das out?, Brown Men Can’t Hump, VIRagra etc. The real underdog of comedy is what he calls himself. We beg to differ. The love he had for irritating and entertaining people never really died down and soon he realized that “I am that kind of a sperm that is supposed to speak utter nonsense on the mic to make people laugh for a living”. The guy who loves breaking the internet, Tanmay Bhat cannot be left out of this list. His trademark is his uncomfortably honest take on everyday happenings. Exposing hypocrisy while making the audience laugh, Bhat’s comedy is quite revolutionary. Known mainly by his last name, the 6’3” stature isn’t the only distinctive thing about this comedian. His conversational style and deadpan delivery set him apart from the rest. He hails from New Delhi and doesn’t spare guys from his hometown either! Sorabh Pant is that kind of comedian who loves cracking jokes that are usually about under the belt stuff. He has opened for Vir Das, Wayne Brady and Rob Schneider. Wayne Brady went on to praise Pant for his excellent sense of humor and comic timing calling him to be the second best comedian he has seen after Russell Peters. Hailing from Indore, Zakir Khan’s USP is his commentary on the tension between men and women, life in small towns and reminiscing about school and college in a very earthy dialect of Hindi. He is extremely honest and it shows in his jokes and comedy performances. Zakir is raw, fresh and a really funny guy to look out for. Rohan does not look like your regular comedian but he is very good at it. Rohan has a Gujarati background, and he draws from this for his style of humour. He has a very in-your-face comic style and certainly doesn’t hold back. Varun is a struggling actor and he loves and hates everything about that. His dig on coffee shops, struggling actors and the pretentious people who visit such places is hilarious. Neville has an observant eye for everyday things that happens in the life of an Indian. He creates awesome humor out of ideas that we take for granted and inherent misogyny in society. 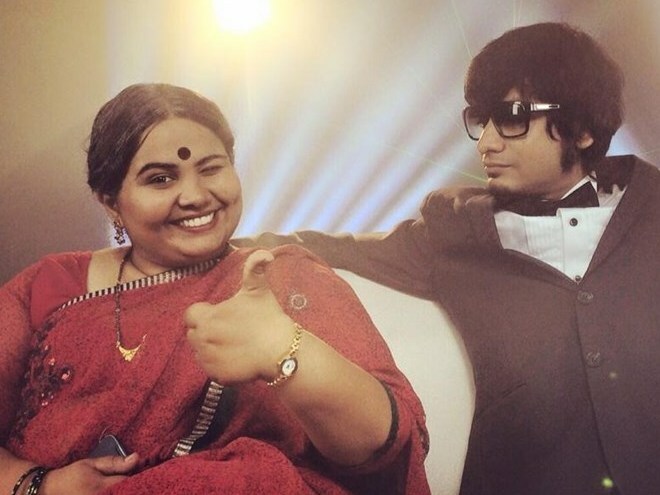 Most popular for The Maid interview, Anu Aunty, and Brodha V’s Engineering Anthem, Sumukhi Suresh hails from Nagpur. Do check out her brand new mockumentary series, Better Life Foundation. Mittal is a feminist at work who wants to talk about on the issues that are hushed away in common conversation. She knows all about the if’s and but’s of the scene and is not at all afraid to push them a notch further to convey the message loud and clear. He is fond of his country and truly loves to mock every single thing about it. He plays around with the peculiarities of the country and generates humour from it. He has performed around the world and even made it into the finals of the World’s Funniest Men in Las Vegas. Kenney is an excellent improv artist, and also an insanely talented comedian. Kenny’s act revolves around Keralites, middle-class values, and Hindi film singers among many others and he brings his own distinct style of physical comedy to crack hilarious jokes. Which of these are your favourites? Let us know in the comments below!